Today's DIY post is all about the Hawaiian themed since next week on March 26th Alvin and the Chipmunks: Chipwrecked will be out for all to enjoy on Blu-Ray and DVD. I thought I'd share with you what my kids and I made during our March Break and also share with you a contest that's going on from 20th Century Fox and Parenthood.com on Pinterest. Pin It To Win It - Twentieth Century Fox Home Entertainment and Parenthood.com are hosting a contest on Pinterest! 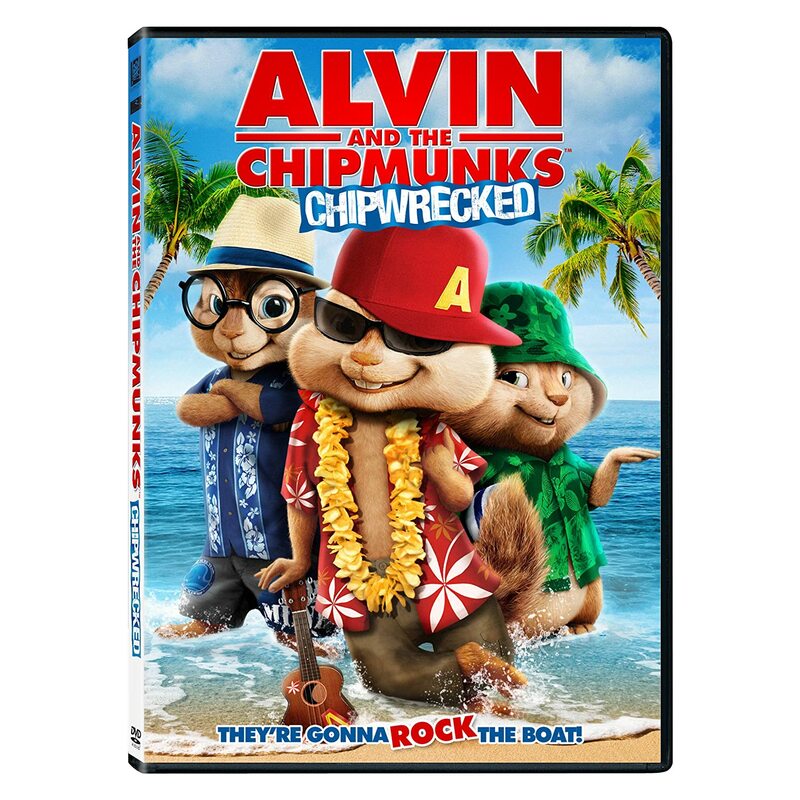 Participants will be entered to win a copy of the Alvin and the Chipmunks: Chipwrecked DVD, Blu-ray and Digital Download Combo Pack. To enter, pin your crafty, DIY chipmunk ideas to your board and be sure to use the hashtag #chipwrecked. Parenthood.com will re-pin your idea and contact you via Pinterest if you are a lucky winner! 1. Leis can be worn as necklaces, headpieces, bracelets or anklets. Decide which ones you want to make and cut the appropriate length of string. Make a knot on one end of your string. 2. Draw and cut flower shapes and leaf shapes (optional) from colored paper or craft foam. 3. Punch a hole through the center of each flower and leaf. Make sure that the hole is big enough for the string to get through. 4. Cut drinking straws into 1-inch long pieces. You'll need approximately the same number as the flowers. 5. String the pieces together in this order: straw, flower and leaf. 6. When you've strung enough pieces, make a knot right after the last piece. 7. If you're using an elastic string you can tie both ends of the string together to complete the lei. If you're using ordinary string, knot both ends as you wear the lei. Also, please enjoy these Alvin and the Chipmunks: Chipwrecked activity sheets, ecards and post cards you and your kiddos can have fun with. All you need to do is click and download to get your fun freebies!